Operating from Derby, Protect for Life Ltd provides advices on life, critical illness and income protection products to clients throughout the UK. Established in 1999 the organisation has 50 years of experience in the Independent Financial Advisors market. Here at Protect for Life, emphasis is on specialising in providing quality, professional Independent Financial Advice that can be trusted. 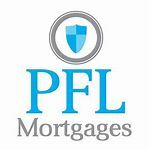 Whatever particular requirements, whether it be a mortgage, life and critical illness protection, over 50s life plans or income protection PFL can ensure that the right solution can be found.